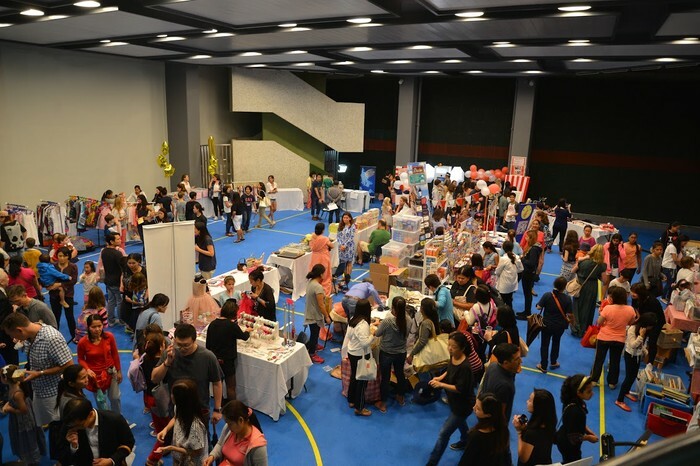 The International Bazaar is always one of my favourite events at Glenealy. 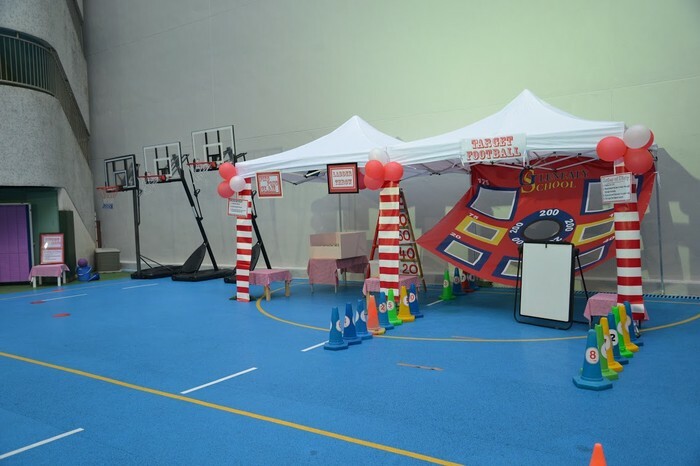 I know everyone always looks forward to the evening and children get super excited in the week leading up to the event and on the day as they watch the school site be transformed into a carnival atmosphere. Despite being a bit of miserable night weather wise, this didn’t matter as everybody just took cover, and carried on as usual. It’s good for us to know that an event like this can still be successful in these conditions. The new look site plan and colour theme worked brilliantly to add a fresh feel to the event and the bar was stunningly presented and a real favourite place to hang out from the start to the end of the evening. 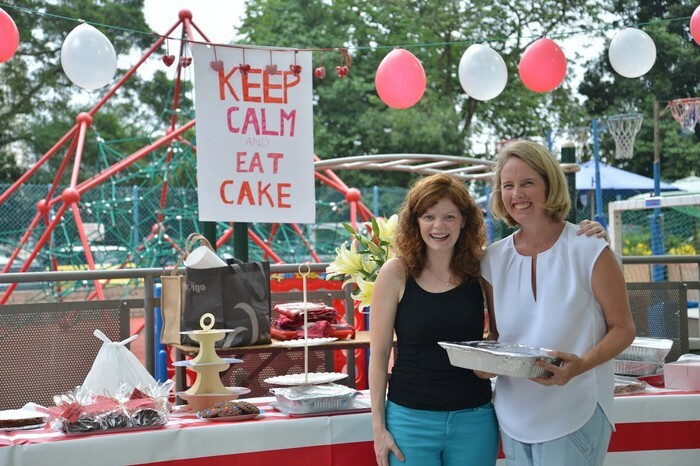 As you know the PTA Committee organises the event and with the planning from all the different parties everything runs like clockwork! 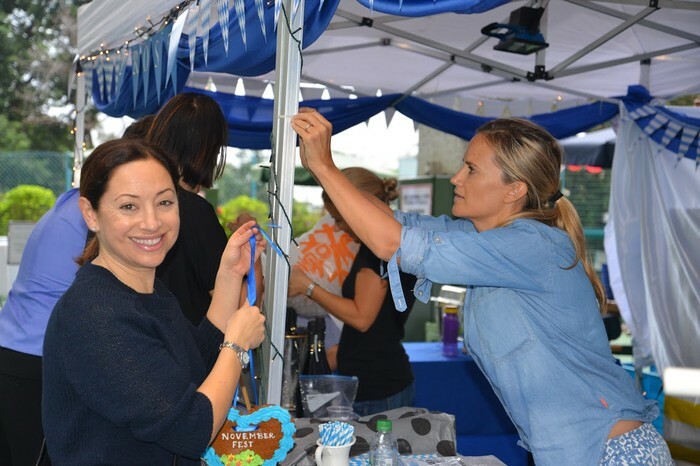 We had a brand new team this year with PTA Chairs Ania and Mercedes and our new PTA Administrator Michelle all experiencing the Bazaar for the first time as chief organisers! 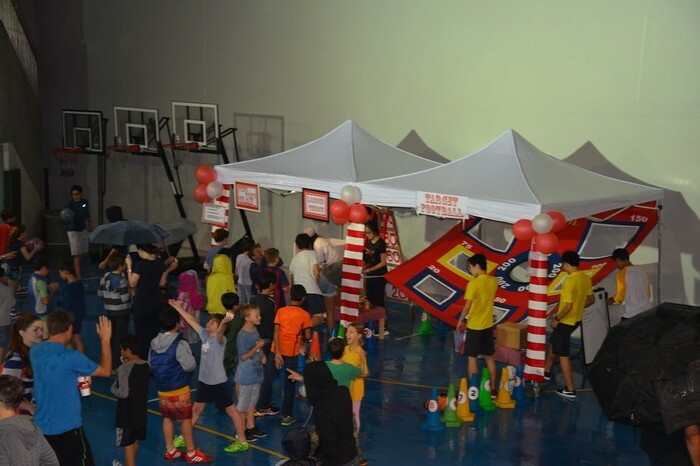 They did a super job and alongside the very hardworking, keen and high-energy PTA team and other parent volunteers, the evening was planned and executed superbly. Thank you ladies – this is a huge accomplishment. You will see thank you notes in the body of this newsletter; I would personally like to thank the coordinators for their meticulous planning, liaison and organisation. I’m sure you also noticed the Island School (IS) students assisting the teachers on the games. They did such a wonderful job and all with a smile! They couldn’t have been better role models for their school. Many thanks to Johnny Horner from IS for organising the volunteers alongside Mrs Bellerby and a big thanks to all the teachers too. The teachers also offered some original, interesting and exciting new auction items for the children and these went down very well, as did the new selection of games, which the children loved. Big thanks to the site staff for their help in setting up and cleaning up at the end of the evening. Mr Benzie planned a great entertainment programme for us all with every child in the school performing on the evening. 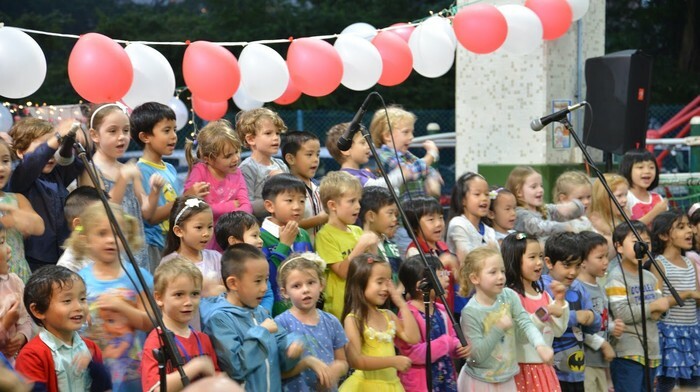 It was wonderful to hear the children’s singing throughout the night and also the fun and laughter from excited families and friends. Mr Wilson’s jazz group entertained us through until the latter part of the evening, which created a wonderful ambience. An evening like the Bazaar cannot happen unless we have huge support from the community. 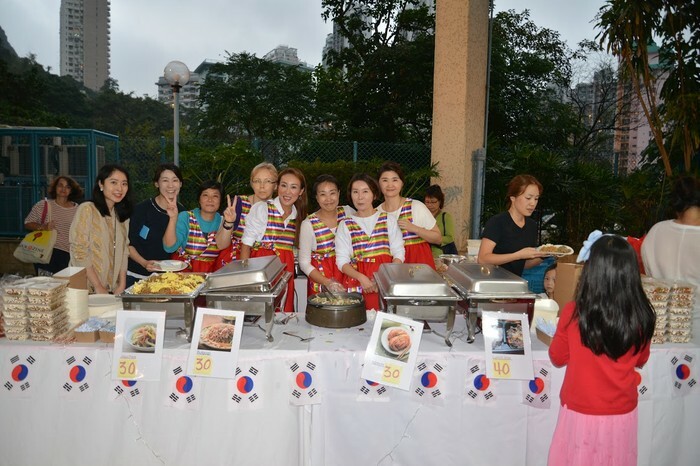 To the families who spent hours sourcing, planning, preparing and serving their delicious food at the international food stalls we appreciate your contributions so much. The selection and quality was incredible. The smell and flavours attracted everyone to sample the delicious offerings you provided. Thank you so much! 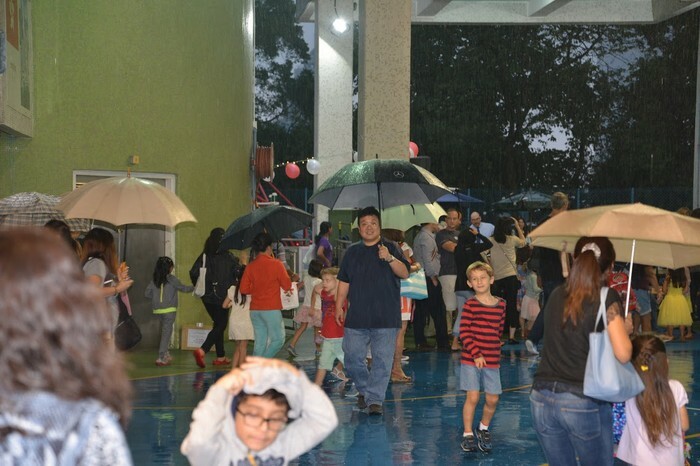 You will see as you read through this newsletter that the event was a tremendous community evening with so many families and friends helping out in any way they could. Thank you all for your contributions to this wonderful event. I’m sure you will enjoy looking through this newsletter, which acknowledges the amazing contributions from so many of you. We are looking forward to transforming our hall into a fantastic Performing Arts Centre (PAC) next year and the money raised from this event will help us reach closer to our target. Thanks again for your support in helping the school accomplish this goal. 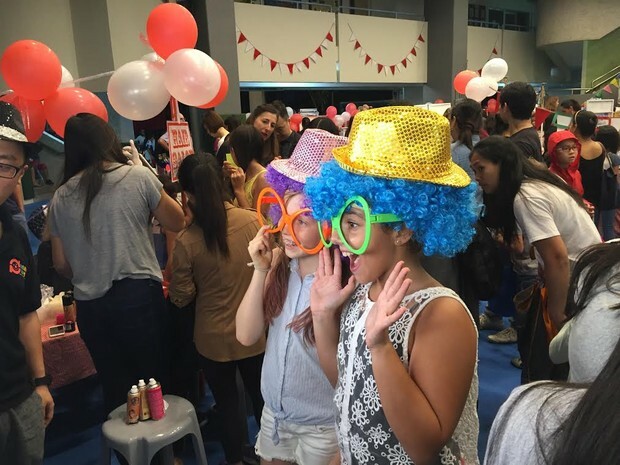 As a community, our school has celebrated another successful International Bazaar. 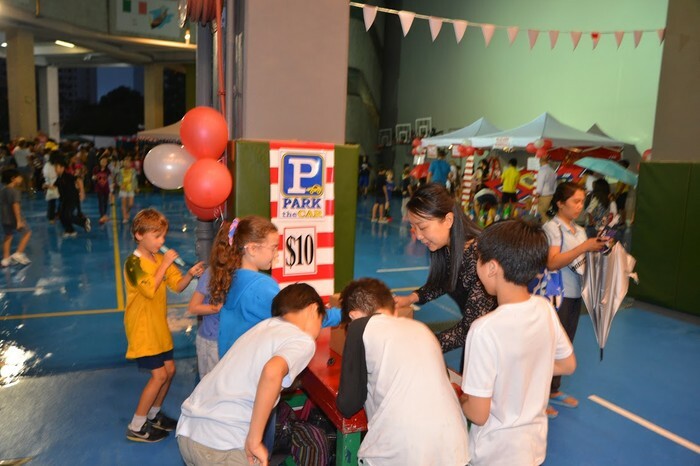 The PTA Committee now has a bigger number of fundraising activities, some initiatives that used to be part of the Bazaar (non-Glenealy auction, direct donations for cost underwriting, wine sales) have been removed or relocated. 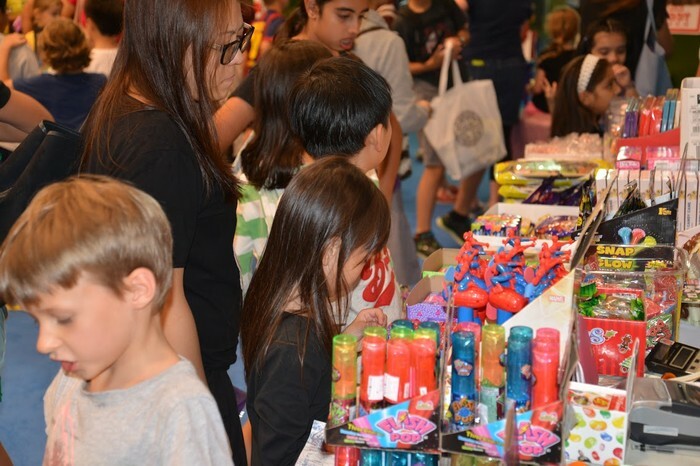 This, together with some increased costs naturally affects the fundraising side of the Bazaar, but allows the PTA to produce a great community evening, while still raising significant funds towards a new Performing Arts Centre. This year we raised just under $135,000. 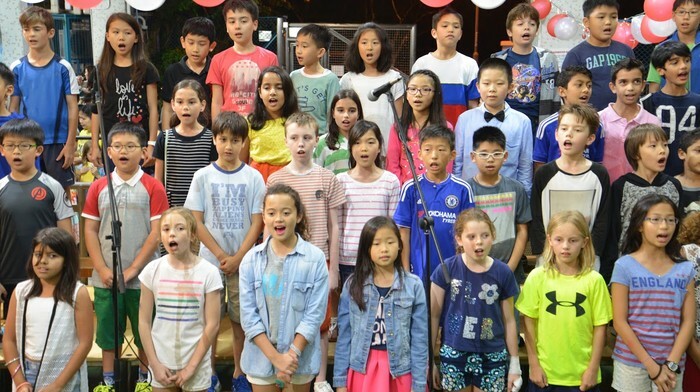 It is with the efforts of Brenda Cook, Phil Sangster, David Buckley, Ricky Yeung and the Glenealy site staff, parents, teachers, students and volunteers that an event of this magnitude can be executed. On behalf of the PTA committee, we thank you all very much for your hard work, tireless dedication and enthusiasm. 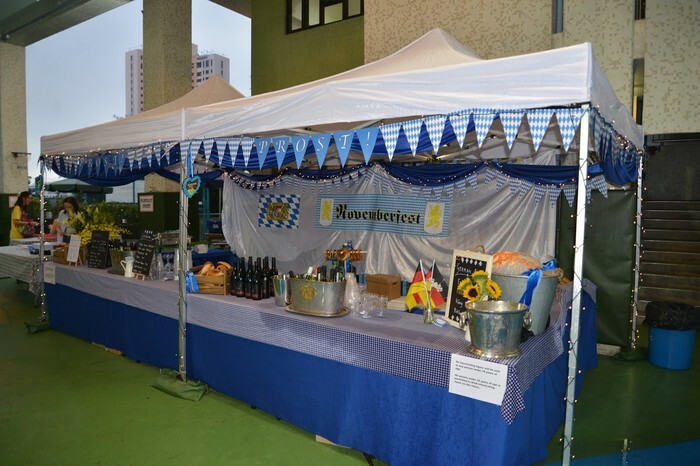 We created an International Bazaar to remember. We received some very generous donations and corporate sponsorship. Thank you to Swire Coca-Cola for sponsoring all the soft drinks and water for the evening and to Heineken for donating supplies of their beer. A huge thanks to Mr David Benzie for leading our children in song. Your passion and dedication really shows and it was a real pleasure to watch! The APA Jazz band was awesome, led by our very own Glenealy parent, Mr. Tim Wilson. Thanks so much, the band really lit up our night. Last summer the playground was refurbished and this meant a whole new site plan. Special thanks to Fiona Tam for her assistance with the layout for this year. Maggie Hon and Lisa Wang both worked behind the scenes securing catering and site supplies and coordinated the Glenealy Money stall volunteers on the night. Special thanks to those volunteers: Melinda Lo, Rajesh Datwani, Yulia Cherniakov, Dawn Aquino, Christine Meaney and Melissa Shadforth. The Bazaar looked, felt, sounded and tasted amazing! This year, our Silent Auction had some really exciting priceless items provided by the teachers, and some fabulous services donated by a variety of organisations. The auction managed to raise over $36,000 towards the new Performing Arts Centre. The auction’s success was also aided by Janet Lee, Laurian De Ru, Laure Chetty and Jen Parkes whose help on the night of the Bazaar, both setting up and marketing was invaluable. Special thanks to Jiyoung Kwon for leading the way for a successful execution. Tarja Joro, Heeya KIM, Hyeeun KOH, Sona PARK, Soyeon KIM, EunJung LEE, Holly Milner-Barry, Sarah Seung Yeun LEE, Yunjoo Lee, and HeeJung KIM, what a great job you did. Thank you for your time volunteering and cooking. What a treat! Thank you Fatema Jangbarwala for your fantastic dedication. Also, thank you to Zainab Ebrahim, Preeti Daryanani, Ameeta Pirie, Shivani Datwani, Vartika Joshi, Pinka Sumita, Pooja Thakker, Indu Mohan, Kritika Mukhi, and Lavina , what a great team you made. Everyone enjoyed your savory dishes. A big thank you to Diana Bunao for leading your team so beautifully. Kudos to Imelda Maddock, Mark Dowding, Ella Regnard, Mater Torejo and Ada Lam for your tasty foods and giving of your time for a successful Bazaar. Thank you Wanda Daly! What a beautiful presentation. 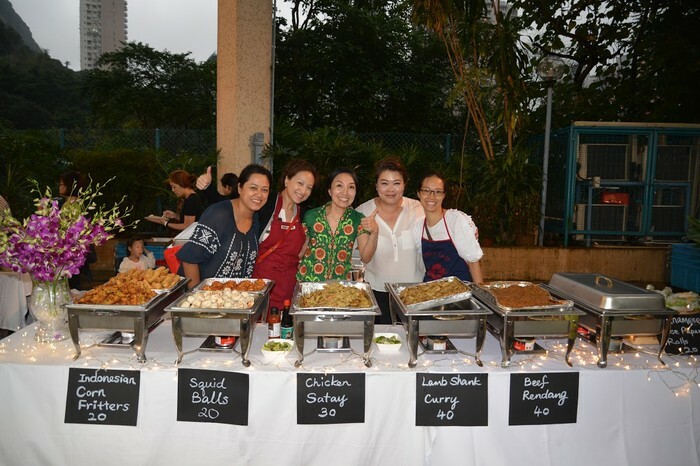 You and your team Cindy Kao, Natalie Sudirnean, Anastasia Anthony, Susanna Kwok, Lynn Ann Davis, Cindy Sim, Elaine Pullinger, Janet Lee, Audrey Chia, and Lillian Lim contributed in making the Bazaar a memorable one. Your food was absolutely delicious. Special thanks to Lucia Lucchini for coordinating and cooking for our international corner. Your lasagna is the best! We appreciate your volunteers that gave their time or donated a dish. Alessandro Lucchini, Ana Vuckovic and Teresa Ryan. Special thanks to Akiko Suzuki and Yoko Kohata for such a successful night. Thank you Kaoru Akiyama, Nozomi Gaffney, Kaori Nishikiori and Junko Shiokawa; everyone contributed their time and making such delicious foods. A huge thanks to August Hui for her time, cooking and putting together a great team. Simon Lam, Molly Chen,Emilie Chan, Cannis Coo, Ho Man Yee Irene, Lyza Tan, Gigi Chong, Lisa Chan, Sarah Chan, Silvia Chan, Pui Kay Lai, and Kimmy Cheung, your food was spectacular. Eliza Arthur, Kylie Fraser, Liz Moser, Georgie James, Ameeta Pirie, Patricia Sindel, Naomi Healy, Susie de Lacy Staunton, Lorraine Adessky, Dianne Challenor, Jennifer Lau, Melanie Pauline, Margaret Chan, Gina Agresti, Georgina Teare, Felice Marshall, Paula Lamont, Lillian Lim. Hope you enjoyed a few glasses of wine after the event to celebrate your success! 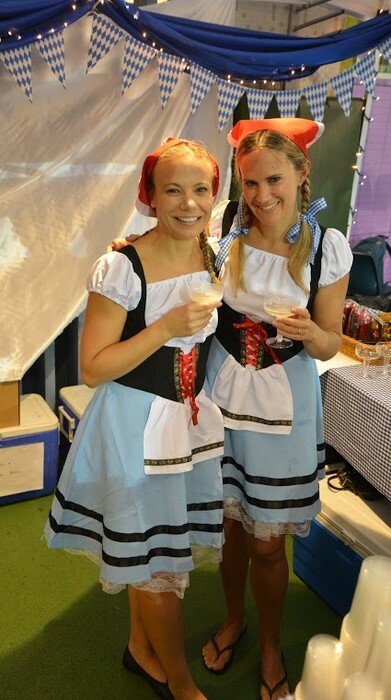 Our Novemberfest bar was brilliantly coordinated by Cindy Gudykunst and Jane Walker and their generosity did not stop with the time and effort devoted to the event. 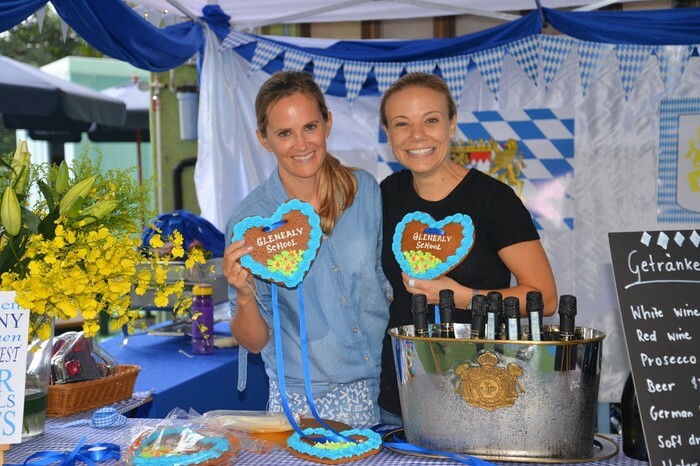 Cindy and her husband Richard donated all the supplies of Tsing Tao beer, Jane Walker and her husband Chris White, donated the very popular German beers sold on the night. The Bar decorations including delicious pretzels and gingerbread hearts were all donated by Jane and Chris. Thanks also to the Weber family for all the tasty German sausages. 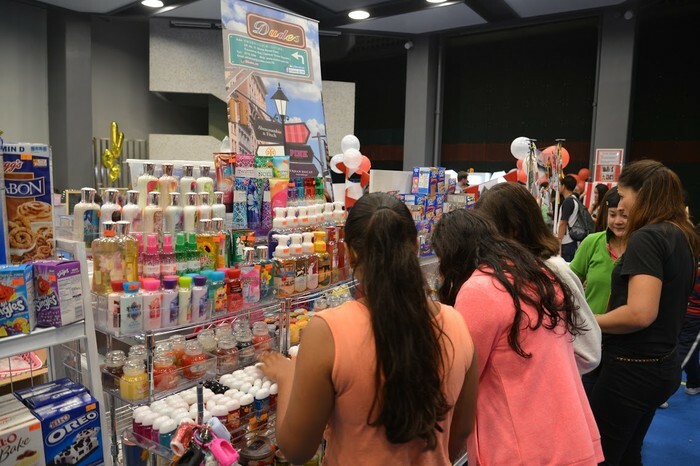 Thank you all so much for your amazing efforts and help at the Bazaar! What a night hey! Jane and I thank you all for helping to make it such a success. I hope you all had as much fun as we did! Special thanks to George Lyons for coming in super early to help Jane decorate the bar to make it the most gorgeous school fair bar in Glenealy's history! 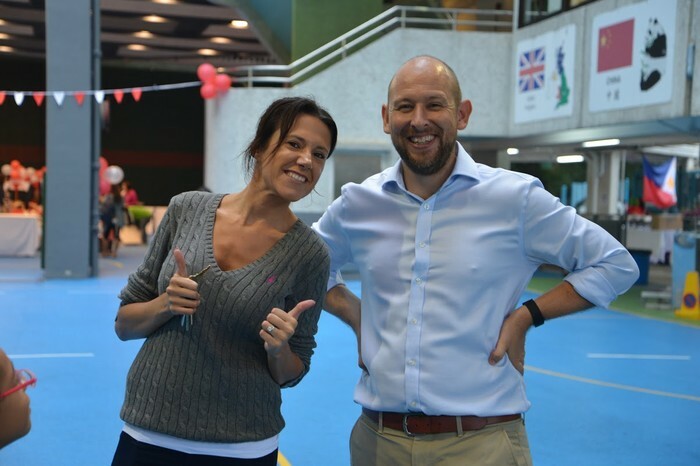 Special thanks also to the wonderful Kirti Marsh and Tracey Batty who were there before 5pm to serve the early arrivals and kick off the night in perfect form and cheer. EVERYONE helped make the bar amazing on the night and Jane and I are so grateful for the team effort. I think the most important thing is we raised a good amount of money for the school, and this is what makes all the hard work worth it. We don't know the amount but we sold out! As always, the second hand book and DVD stall was a roaring success this year. Special thanks go to Gwen Heath for her time and organization of this well-loved stall. Also, thanks to everyone who donated their unwanted books to the stall. We had so many books we had to continue selling them the week following the Bazaar! Thanks! 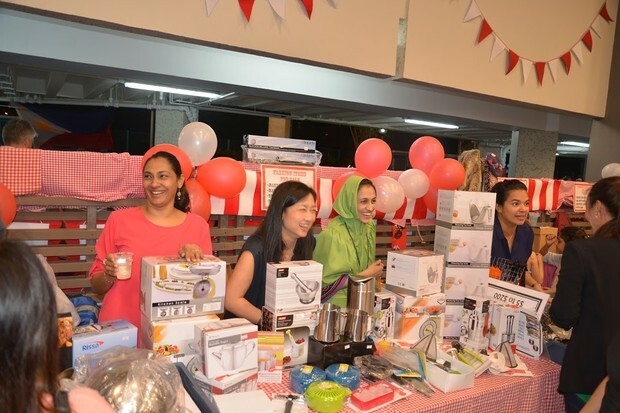 The Kitchenware stall is always popular and we are grateful for the generosity and support of the Ebrahim family for donating such high quality merchandise. Thank you also to Silvia Chan who donated the fashion items, which proved very popular on the night. A huge thank you for all your help with the PTA stalls. From the sorting to the sales, I think we all did a terrific job and it couldn't have been done without every piece of your help. The clean-up was super fast and we received many great comments on the set up for the evening. Thank you all once again, see you in the playground. Lisa Goeller, Kylie Fraser, Lynne Anne Davis, Channelle Lapham, Andrea Fletcher, Maxine Brownie, Andrew Lane , Dawn Aquino, Belinda Lieu, Edwina Wong, Gina Agresti, Felicia Wong, Melissa Shadforth, Froukje Kamoschinski, Wendy Mahbubani, Dee Deblank, Zainab Ebrahim, Janet Lee, Annaliese Spencer, Ana Vuckovic. On behalf of the PTA and myself, I would just like to say a huge Thank you to Penny Donowho and the Glenealy Brownie Pack for running the craft stall at the Bazaar. It looked very busy throughout the night and the children looked very engaged in creating their photo frames. Thank you also to Heyton Tze of Chito Ryu Karate. 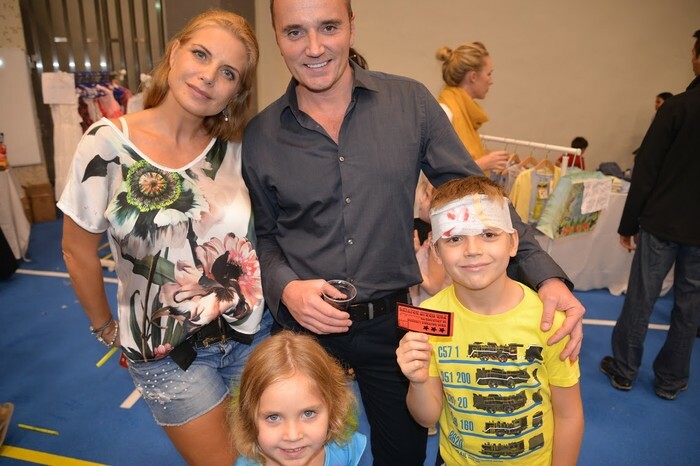 Heyton has been a strong supporter of our Bazaar for many years and the kids always enjoy breaking those boards! We would like to wish a huge thank you to Ania Martin-Madsen and her husband at Pandora for sponsoring the photo booth. It was a great new addition to our Bazaar and the kids really loved it. We would also like to say a huge thank you to all the external vendors that came to support our school and this wonderful event. 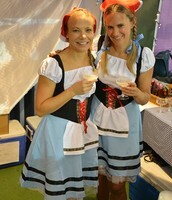 Having the vendors there gave the Bazaar a real buzz and helped raise extra funds towards our Performing Arts Centre. Thank you all. My Little Princess, Run’em Ragged, Mehroo Turel, Dudes, Bookazine, Daisy Jewellery, In style Handbags, Bricks4kidz, Nisha Malhotra, Venture Photography, Vanessa Bergqvist, Tommy Bear, The Association of Chinese Leaders and Entrepreneurs, Velveteen, Two Presents Ltd, Imagine Station and Baby J Ltd.
Last summer the playground was refurbished and this meant a whole new site plan. Special thanks to Fiona Tam for her assistance with the layout for this year. Maggie Hon and Lisa Wang both worked behind the scenes securing catering and site supplies and coordinated the Glenealy Money stall volunteers on the night. Special thanks to those volunteers: Melinda Lo, Rajesh Datwani, Yulia Cherniakov, Dawn Aquino, Christine Meaney and Melissa Shadforth.